See the arc of Light also blessing and guiding all nations who are involved in any way, such as Japan, China, Russia, South Korea, and all Pacific nations, for they would all be affected by a war in the region, or if North Korea detonates a hydrogen bomb in the ocean, contaminating it. Visualize the Light acting as a divine magnet, lifting up the consciousness of all of the leaders and citizens so that they might find a divine solution. Invoke our line of Masters, and the healing Angels to activate any and all solutions to avert war and nuclear threats. We pray for this light to bless and guide us all toward the highest solution possible under any given circumstances that may arise concerning this crisis. See this Light guiding all human solutions on the table at this time, as well any unseen Divine solutions NOW. Please share this visualization far and wide. Life on this planet is like a school. Some inhabitants are in grad school and some, seemingly, although having reached adulthood, are still in preschool. And many of those reading this blog would figuratively be the Divinity students of this world. So we all need to offer healing prayers. Every bit helps. When it comes to prayers for the planet, we can’t waste time and energy bemoaning how the crisis got to this point. We have to pray for what is occurring now in front of us. Our best hope is to pray as the angels would pray. Stay centered and bring Light where there is receptivity. Realize that every player involved possesses all seven chakras, even though those chakras may seem to be asleep at the wheel. Sometimes prayer can help a leader to come from the higher chakras when making an important decision. The great modern mystic, Frank Laubach, and author of Prayer the Mightiest Force in the World: Thoughts for a Thermonuclear Age, had a prayer group focused on national and international concerns. He said that it is uncanny the good that can happen when we pray regarding world events, but we found that we have to keep it up every day. Daily prayer is needed because many political leaders are naturally “at home” in their third chakras, the center of power, with some of their nearby chakras also peripherally involved. But some decisions have such huge implications that they require the upper chakras of divine love, peace, intuition, and wisdom. Transformation of even the most deluded person can happen at any moment, but we cannot be naive. Sometimes prayers are needed to uplift those in power, and sometimes prayers are needed to thwart evil and to protect as many innocent people as possible. May Light prevail. All nations have flaws and problems; that is part and parcel of being here in earth’s “school.” We all have lessons to learn. But recently the UN Security Council cast a unanimous vote for sanctions against North Korea, and China recently agreed to cut off any bank business with North Korea. These actions, along with Russia and Japan condemning NK nuclear threats, point to the worldwide assessment that North Korea is the current “problem child” of the planet. Sanctions are hard on a nation, of course, but nuclear war is harder still. Hopefully this crisis can be sorted out quickly. Conflicts, as well as alliances between nations, often go back for decades and even centuries. For those prayer participants who feel that they may pray better knowing the expanded context, you can review this timeline of 40 maps that explain North Korea. But if you don’t want to review the maps, that is perfectly fine. Just focus on the visualization at the top of this post. The maps are only offered as a courtesy for those who want them. You can read about our past healing prayers for world peace here and here, as well as in my new book, A Healer’s Handbook. Thank you for your service through healing prayer. PS – I would love to hear from you in the comment field, below. Have been praying to Babaji on my own for heart melting Love for the N Korean leader to infuse his being … thank you for sending this beautiful email … I am praying with all my spiritual family, of course… I nearly forgot … I am not alone. Jai Gurus! Blessings on us all. Is so important right now. Each morning for several weeks I’ve felt to pray for many of our world leaders- the responsibility they have and the chance to make a positive difference- I pray for their highest selves to somehow shine thru. 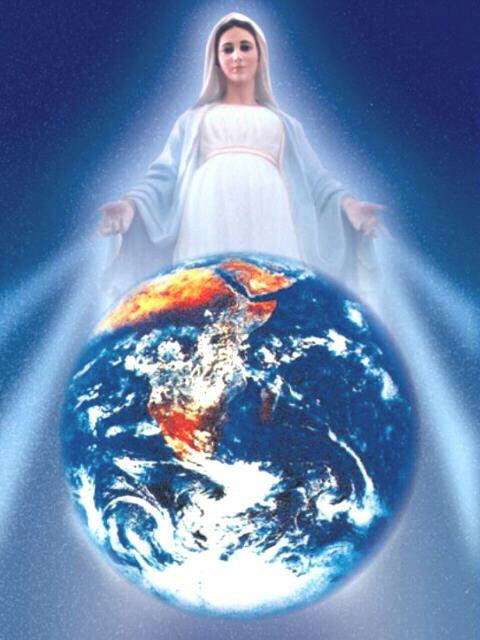 I’m appreciative of having our spiritual community praying together and for Mary’s guidance and visualizations. Definitely this is the need of the hour… iam sure the himalayan yogis in india will b doing their part.. do diffuse the crisis..
unfortunatly most people all over the world have very little belief that prayers can create miracles…24×7 glued to the idiot box ..and listening and absorbing all the negative vibrations …and making things worse .. This is indeed a beautiful work and a beautiful group. If by adding myself the strength of the world prayers can be increased, then I shall do it. May God’s blessings be with all. You are most welcome! You are correct that “Only a higher consciousness can remedy this situation.” Thank you for your prayers. This visualization is very strong and very clear. It lifts my consciousness up just reading about it. Dear Mary, thank you for all your words, Frank L.’s words, and calling up all of us to stay positive and help. I am very happy to know that you found the visualization and commentary to be helpful, Paula! We need to be beacons of Light in these times. Thank you for these guided prayers and photos to assist with visualization. All of your words and suggested prayers are encouraging and hopeful. I recently felt guided to have prints made from the picture of Divine Mother standing above the planet, Her rays of light and love pouring over the Earth. I will share these copies with our meditation group to help with visualization; a tangible act to help focus on healing. Thank you, Linda! When you share the picture with the group, please also tell them to look for the healing prayer blog on ananda.org, so they can find the guided visualization, too. I added the picture of Divine Mother to the end of this blog, after reading your words regarding seeing it in my newsletter. Protect our Home. Mother Earth. In 1983 I attended ‘Nuclear, Biological, Chemical Warfare School’ (NBC School) while serving in the Army. It was my first professional introduction to the topics of Weapons of Mass Destruction (WMD’s), Human Rights, and the influence of The Geneva Convention on government policy. The early eighties was just near the end of the forty five year “Cold War” which involved an “Arms Race”. I was surprised to learn during NBC School all kinds of alarming things. The US had stockpiles that had accumulated for forty years, of tens of thousands of these munitions. And much of these bombs and artillery shells were manufactured in the Fifties. Especially Chemical Weapons containing nerve agent (neurotoxin) and blood agent. Long ago the Geneva Convention categorized the toxins used in chemical weapons a human rights violation. And Chemical and Biological WMD’s, if ever used in war, a war crime. In the early nineties, the US government began a program of safe disposal of all the stockpiles of chemical and biological weapons. Hopefully by now that job is completed. At that time while attending NBC School, Nuclear Weapons were not yet categorized in the same way as the Chemical Weapons were; a Human Rights Violation. “Nukes” definitely are that. They are an Earth’s Rights Violation. Some of the larger Nukes are potentially ‘Planet Killers’, their destructive power is so huge. Much more than the bombs used during WWII. If ever detonated, anywhere on Earth, the blast zone destruction is extensive and terrible. And then there is the added insult to life on our Planet, caused by the enormous “mushroom cloud” of radioactive material that is injected into the Stratosphere. Then the Westerly Winds blows the “fallout” dust around the globe many times. Until all that radioactive material falls back to Earth. Contaminating a huge swath of the planet, far away from the blast zone, with even more mass death and destruction from radiation. Then finally the long term exposure radiation diseases set in, (bone marrow diseases, and genetic mutation) and long term contamination of food and water supplies. And the blast zone of many hundreds of miles in diameter, is uninhabitable for at least one hundred years! What the hell is the point of it all!? The time for disarmament is NOW, not tomorrow. The US government must “Lead By Example”. For the whole world to see. By initiating a rapid, safe and provable disarmament process. So necessary now and so difficult with the natural tragedies occurring to concentrate on and avert a man-made tragedy takes more than one unless,one were our master,guruji. Yes – many prayers together can make a beam of healing. Try to remain encouraged. I believe the prayers are already helping, at least in the immediate sense. And we have also been praying about natural disasters as well. In my previous blog I asked for prayers for Puerto Rico before the storm hit. I am about to put out an update prayer request about Puerto Rico. Over the past decade, North Korea has already developed capability for up to 25 conventional atom bombs, all of which are deadly enough as they are. But a hydrogen bomb – which relies on fusing atomic nuclei together rather than splitting them apart – is a weapon of an altogether different magnitude of mass destruction. Its nuclear reaction is similar to those produced by the sun to heat the solar system, creating an explosion potentially hundreds of thousands of times greater than the atom bombs currently in Kim Jong-un’s arsenal. Mercifully, the technology required to make H-bombs is complex even by nuclear-engineering standards, and to date, only the world’s five major nuclear powers – America, Russia, Britain, France and China – are known to possess them. The know-how is also one of the world’s most closely guarded nuclear secrets. It cannot be found on some internet Anarchist cookbook, and is unlikely ever to appear on WikiLeaks. The Chinese wouldn’t help North Korea in making nuclear bombs, nor would the Russians, and neither Pakistan nor Iran have the necessary level of expertise. The prospect of North Korea having such a weapon is a frightening one. From the dawn of the Cold War, the sheer power of H-bombs has always awed those who have possessed them, and imbued a certain sense of responsibility. There is no such guarantee that someone like Kim Jong-un will feel the same way. To give you some idea of the magnitude of the H-bomb destruction – in 1952 the US detonated its first H-Bomb over a Pacific atoll. The size of the blast – 450 times that of Nagasaki – stunned even those who had watched previous bomb tests, with a mushroom cloud five times the height of Mount Everest and 100 times wide! A decade later, Moscow responded with the ‘Tsar Bomba’, four times larger again, and so big that the pilots who dropped it over Russia’s icy northern wastes were warned that they might not escape the blast. Something we can all do to meditate and pray for God’s wisdom, light, love, peace, harmony and healing to flow into the minds and hearts of the world nation’s leaders. Peace and harmony can begin with you here and now, and in every moment, every day, if you consciously apply it. Stephen, you are quite right. Thus my original prayer request… That being said, I was leading people to visualize peace and light, not the destructive power of bombs. We all know that would be bad. Visualize healing light. A huge thank you for this inspiration with much clarity on how to pray and visualize at this time. I´m deeply thankful. Of course I´ll pray, I´ve always done. So good to know we are all praying together. I love your sentence: “May light prevail.” Yes! Thank you and bless you, Sibila.